While we love our children and we smile and compliment them on their art projects, those projects often just wind up in a pile somewhere. This craft punch project encourages their creativity, but leaves you with a piece of art that you’ll love to hang. If you’re anything like me, when you’re ready for a painting project, you go to the hardware store and stand before the rows and rows of paint chips and you feel lost in a sea of choices. I leave the store without paint, but with a huge stack of paint chips to tape to my wall while I mull over my options. 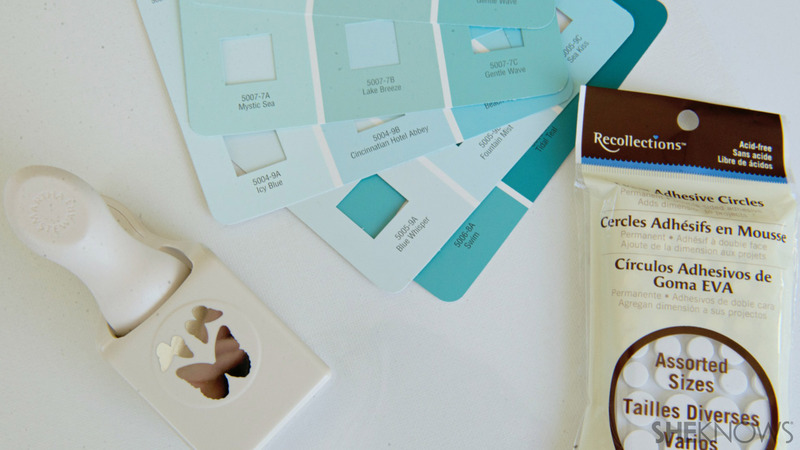 Once you’ve finally chosen a color, what do you do with those paint chips? Well, you put them to use, of course. 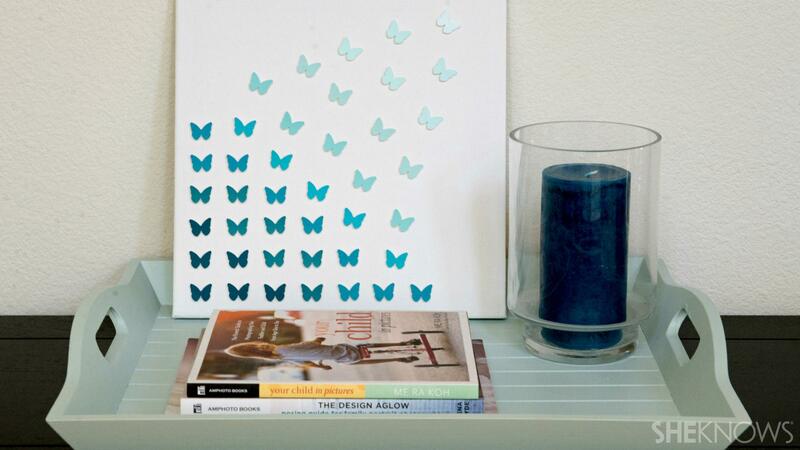 With this fun craft, your kids can recycle those chips into a piece of art that will take flight before their eyes. 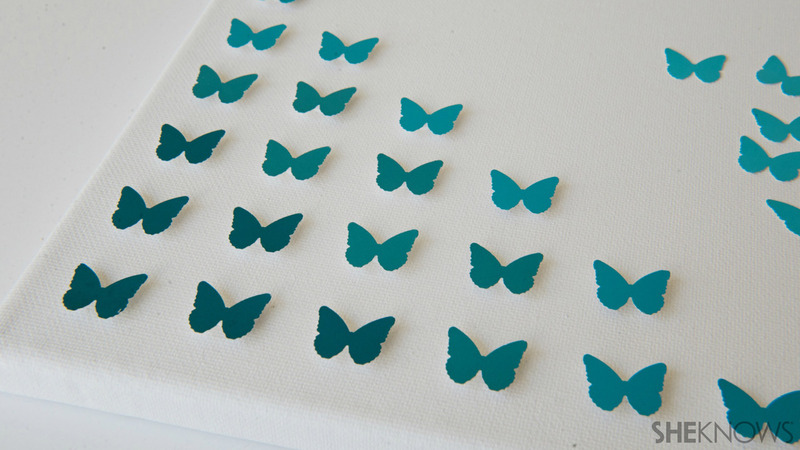 Using your craft punch on your paint chips, have your child punch until until he or she has created a pile of butterflies. 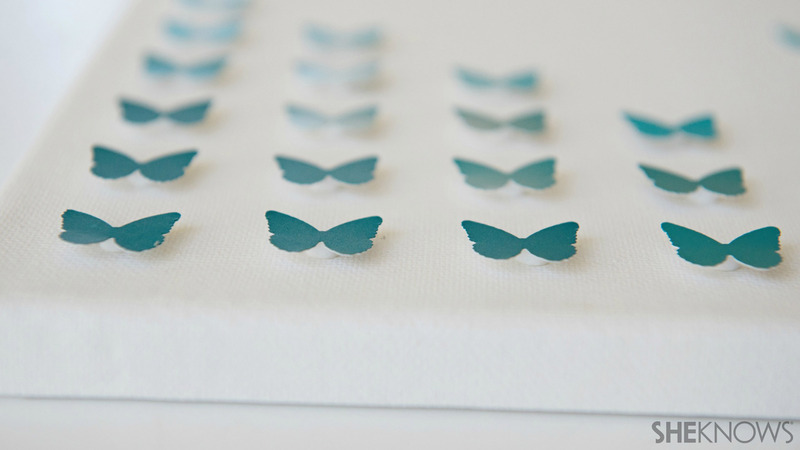 Have your child apply a self-adhesive foam mount sticker to the back of each butterfly and apply to the canvas until you have created your desired pattern.